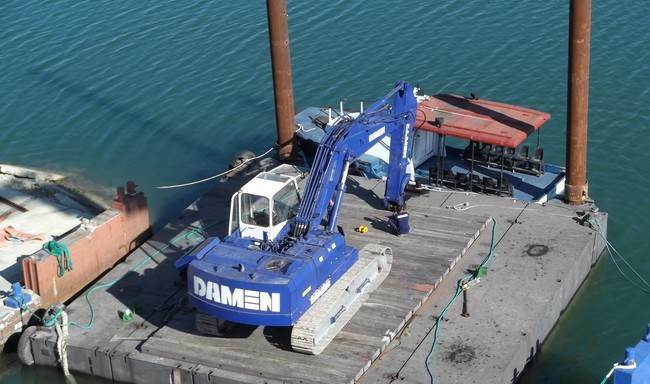 The Damen Modular Pontoon is a multipurpose working pontoon for operations in shallow waters. 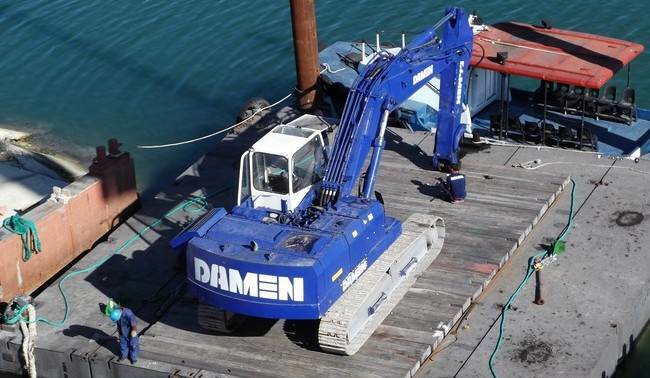 The Damen Modular Pontoon can be positioned by means of spud poles. 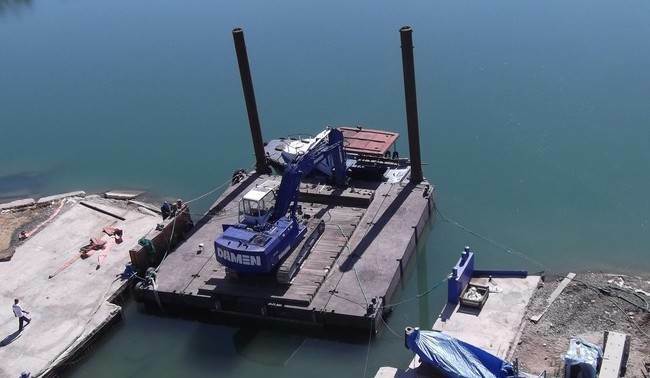 The Damen Modular Pontoon is provided with excavator, crane mats, bollards and modular spud system.